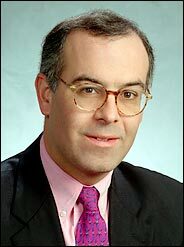 David Brooks is probably my favourite political commentator and I make no apology for including him twice within the first ten posts on this blog. The BBC and our national newspaper culture afford more opportunities for Britain to enjoy a ‘national conversation’ but the increased phenomenon of ‘narrowcasting’ will make it harder to integrate Muslims, say, into mainstream Britain. If you’re inclined to hate Britain you can turn off Huw Edwards and tune into Aljazeera.